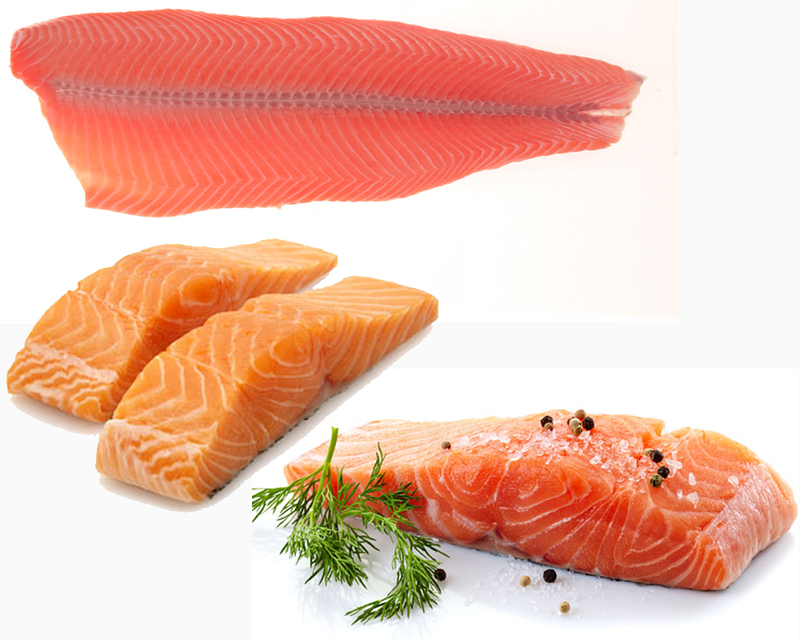 When it comes to seafood, salmon is one of the most favored fishes in the world. A lot of people love salmon because the fish is rich in flavor and has a lot of meat. The chewy texture is so pleasant in the mouth. Due to the large size, salmon can be processed into several varieties of products. 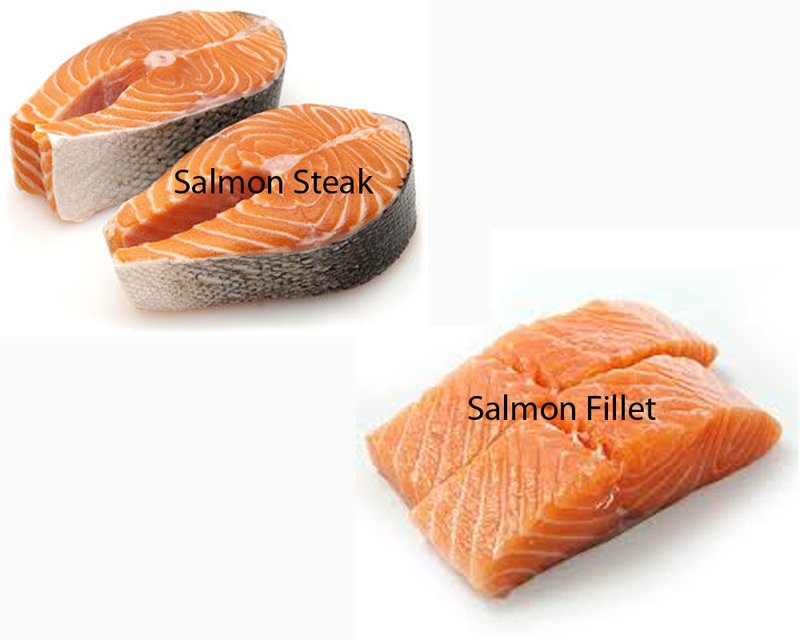 Salmon can be found as salmon steak or salmon fillet in the market. 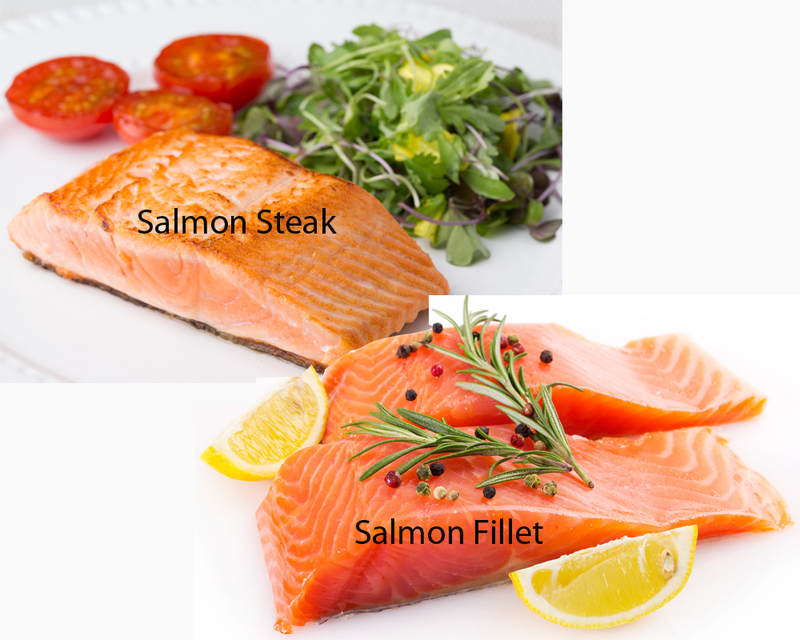 So, what are the differences between salmon steak and salmon fillet? Is one more superior than the other? 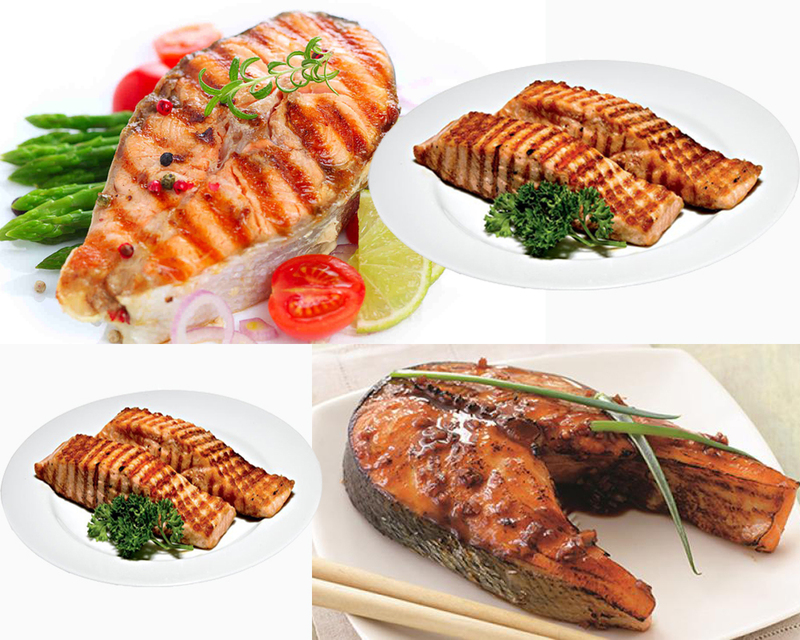 Salmon steak, also known as salmon cutlet, is a cut of salmon that is perpendicular to the spine. Typically, salmon steak includes the bones and the skin. As fish meat is tender and soft, fish meat can easily fall apart during cooking. However, salmon steak is much less likely to fall apart than salmon fillet due to the bones helping to keep the meat intact. Making salmon steak is also quite faster and easier than making salmon fillet as the bones and skin are not to be removed. On the other hand, salmon fillet is cut parallel to either side of the spine. It does not include the larger bones, though the smaller ones may still remain. Salmon fillet can still include the skin. Compared to salmon steak, salmon fillet certainly looks more elegant, but requires more time and perhaps skill to make, especially since the meat tends to fall apart more easily. So, salmon steak is cut perpendicular to the spine and includes bones and skin, thus easier and faster to process. However, if you hate having to pick out all the bones yourself prior eating, you should opt for salmon fillet. Salmon fillet is cut parallel to the spine, and does not include the larger bones, thus more convenient to eat.